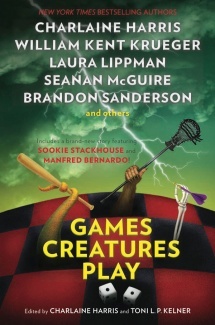 Games Creatures Play is a 2014 anthology that contains the story Hunter Hunterson and Sons: The Case of the Haunted Safeway, written by Scott Sigler. Sports fans live and die by their teams' successes and failures—though not literally. But these fifteen authors have written spirited—in more ways that one—new tales of killer competitions that would make even the most die-hard players ask to be benched. This page was last modified on 29 December 2018, at 00:07.